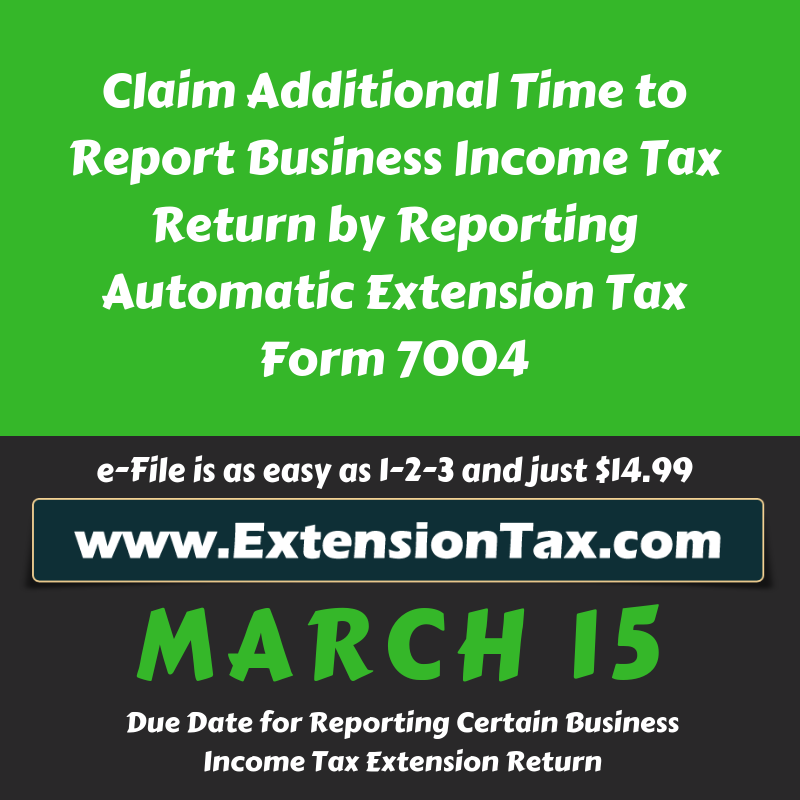 Business Income Tax deadline can be Extended! 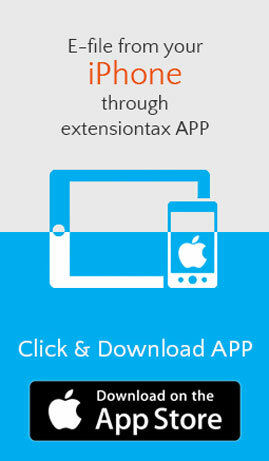 ExtensionTax.com supports e-filing of IRS Form 7004. This form can automatically extend your filing deadline for up to 6 months. It is not complicated to fill out and really only requires a few business details to complete. Form 7004 can be e-filed by Multi-Member LLCs, C-Corporations, S-Corporations, Partnerships, Trusts, and Estates. Please Note: E-filing Form 7004 will not extend the time you have to pay any taxes due. It is only an extension of time to file your business tax return. The entire e-filing process takes less than 10 minutes if you have all the information ready to enter. What you need is your business information – business name, address, and EIN/Tax-ID. You will also need an estimation of your tax liability, if any. It will also help if you decide your payment method beforehand. 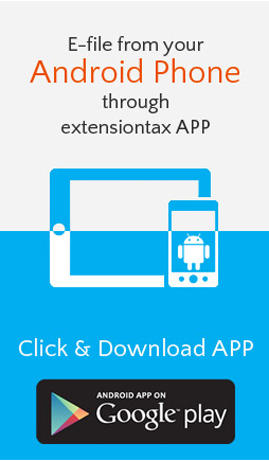 If you have any questions about e-filing your Form 7004 with www.Extensiontax.com , do not hesitate to contact our Support Team via phone @ 1-866-245-3918 or write to us @ support@extensiontax.com . This entry was posted in Efile 7004, Efile an Extension tax, Efile Extension, efile extension form, efile form 8868, efile income tax extension, efiling, efiling Corporate Tax Extension, efiling Easy Extension, efiling Efile 4868, exempt Organisation, Extension form, Extension Tax, Extensiontax, Fast and easy return, file extension online, Form 4868, Form 4868 efile, Form 7004, Form 8868, Form 990, Form 990-T, Get instant Extension, Instant Approval, IRS, IRS Extension, IRS Updates, Online Extension, Tax Extension, Tax Return Preparers and tagged Authorized Efile Service Provider, Business Income Tax, Easy Extension, Efile 2350, Efile 4868, Efile 7004, Efile 8868, Efile Extension, Efile for an Extension, express extension, Extend your Deadline, Extension of Time, Federal Income Tax Extension, File Later, File Taxes later, Form 2350, Form 4868, Form 7004, Form 8868, Income tax Extension, IRS Extension, Online Extension, Pay Later, Personal Income tax, Six months Extension, Tax Return Preparers on February 27, 2018 by TaxExpert.